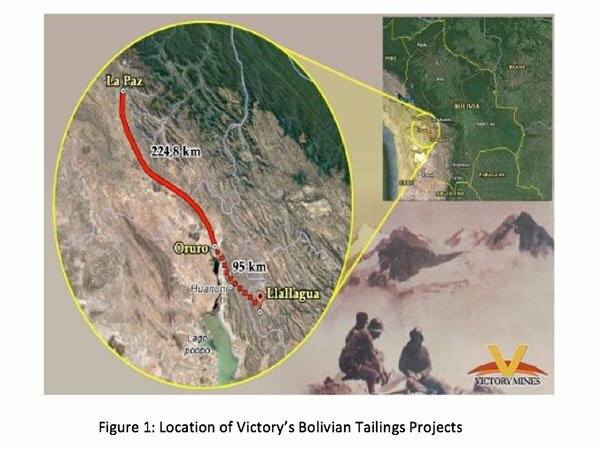 Victory Mines Limited (ASX: VIC) announced today that its program to drill and sample material at its Bolivian tin tails project will commence this month. This follows the company’s engagement of the Bolivian Mining Research Institute of the Mining, Oil and Geotechnics Engineering of the Oruro Technical University (UTO) to assess the range of tin tailing areas. The UTO engineering department is a leader in Bolivia and has internationally certified laboratories, with resources to assist miners in Bolivia and neighbouring countries. 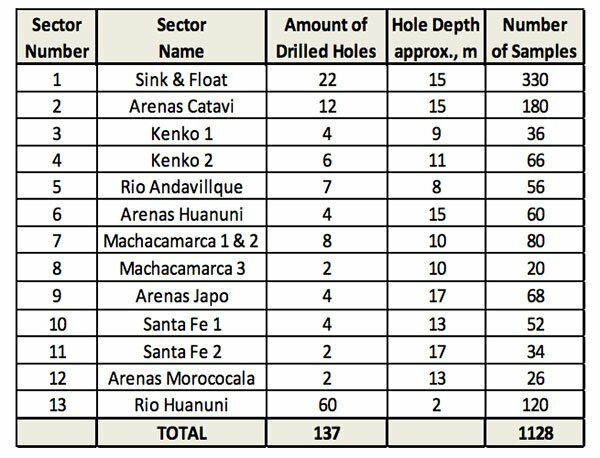 As part of the upcoming program, VIC will sample tin tail deposits at Sink & Float, Arenas Catavi, Kenko, Rio Andavillque, Huanuni and Japo deposists with a total of 137 holes on variable patterns from 50 x 50 meters to 150 x 150 meters. By the end of the program 1,128 samples of 5-10 kilograms will have been collected from drilled material. 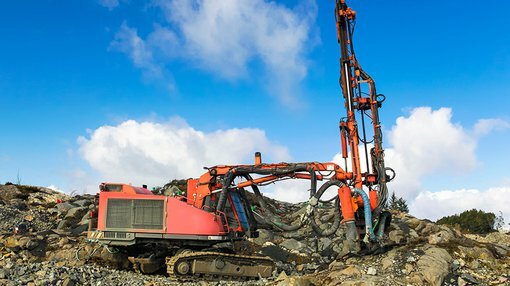 Results of the program will be due for announcement in December, following the completion of laboratory analysis to evaluate volume and grade of tin and other metals in each deposit. All the tin tailings deposits are located near the towns of Llallagua and Huanuni in the Potosi and Oruro Departments of Bolivia as shown above. 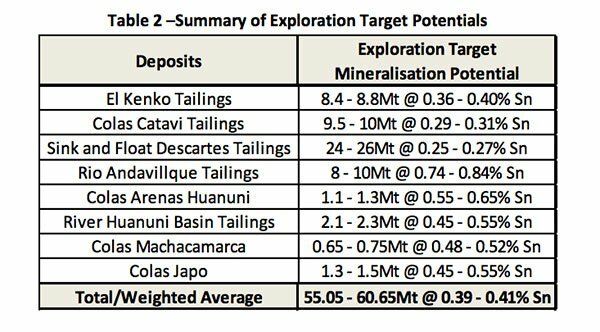 VIC is confident the program will be sufficient to quantify volume and grade, and will enable the estimation of not only tin content, but silver and other metals such as tantalum – discoveries that could be transformational for the micro-cap $2.8 million company. Of course this is an early stage speculative company and investors should seek professional financial advice if considering this stock for their portfolio. As part of its due diligence, VIC has developed a comprehensive program drilling and sampling process – complemented by the detailed procedures provided by UTO – to ensure the accuracy of results. All modelling and evaluation of materials will be done using mining software MineSight, which provides a 3D variability of materials across the deposits. The software can also estimate grades in unmeasured areas by the use of spatial interpolation methods of Inverse Distance Weighting or Kriging.